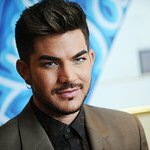 Adam Lambert's charity:water birthday campaign has ended – after smashing his initial charity goal! Adam’s simple birthday wish of raising $29,000 by his birthday on January 29 was smashed in just two days, prompting the singer to increase his goal to $290,000. As of yesterday, when the campaign ended, fans had donated $323,255 to charity:water. “I am so excited to be a part of charity:water and able to give back to those in need,” said Adam. Funds raised by charity:water go towards bringing clean and safe drinking water to people in developing nations. To date they’ve funded 3,811 water projects across the world, providing water for 1,742,331 people in 17 countries and in the four years since inception, charity:water also has raised more than $22 million to run their organization, launch educational campaigns and fund their water projects.